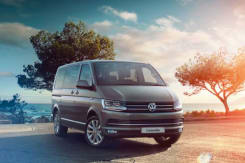 The latest-generation Caravelle delivers space, comfort and flexibility for up to six passengers plus luggage as well as stunning looks and practical features. The Caravelle comes with an ingenious rail system that allows you to reposition or remove seats to easily giving you dozens of seating combinations. These combinations mean your passengers have room to relax but still have plenty of space for luggage making the Caravelle the ideal vehicle for carrying a large family on holiday or taking clients to the airport. 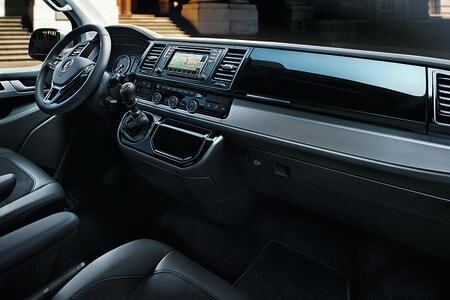 The Caravelle’s highly-specified interior is designed to make the miles fly by. Standard equipment includes DAB+ radio system with colour touch-screen and Bluetooth®but you can also add options such as voice recognition enabling you to operate navigation, phone and audio functions without taking your hands off the wheel. There’s also App-Connect available as an option, which allows the screen of your smartphone to be displayed on the touchscreen to operate special apps and a Connectivity package which enables MP3 players, to be connected via the USB port. The Caravelle is designed from the ground up to be safe. Agile handling and stability mean the vehicle is easy to drive and manoeuvre whilst standard specification such as ABS, electronic brakeforce distribution and electronic stabilisation programme keep the Caravelle sure-footed even in testing road conditions. Fitted on all models, the Driver Alert System senses deviation from normal steering and provides visual and acoustic warnings to recommend that the driver takes a break. 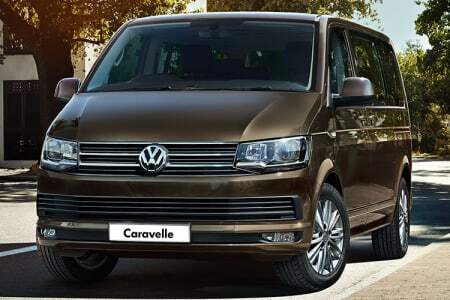 Should the worst happen, the Caravelle is made of a rigid safety cell with crumple zones to dissipate crash energy, whilst automatic post-collision braking, driver and passenger front and side airbags and four ISOFIX child seat mountings in the rear passenger area are fitted as standard. 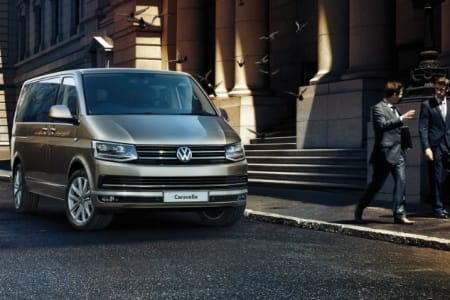 Powered by a choice of two petrol and two diesel engines, the Caravelle complies with Euro 6 emissions standards and includes BlueMotion Technology as standard – comprising regenerative braking, low rolling resistance tyres and a Start/Stop function to reduce unnecessary fuel consumption. Both petrol and diesel engines offer high performance 6-speed manual or 7-speed dual clutch direct shift gearbox options which provide between 150 and 204ps. The optional 4MOTION all-wheel drive provides good traction, optimum handling and steering to help you master even difficult conditions like driving in mountainous, snow-covered terrain.